There are varying opinions on whether cannabidiol (CBD) can contribute to a healthy lifestyle. However, a growing amount of research on CBD continues to prove the health benefits of CBD, and its effects on reducing many ailments. CBD plays a role in our bodies through the endocannabinoid system, which is responsible for regulating the body’s internal balance, and helping the body adapt to outside stressors. It is made up of endocannabinoids and their receptors, which are found everywhere in the body, including in the brain, the digestive system, the immune system and the reproductive system. Because these receptors are essential for many other systems in our bodies, the list of ailments and concerns that are treatable by CBD is quite lengthy. The reason why they CBD integrates better in our bodies, as compared to synthetic drugs, is because the compounds in CBD are so similar to the chemicals that our bodies organically create. This is why CBD oil and its health benefits can serve as general preventative medicine that can help to protect the body against the damages of aging and stress. Many persons suffering from chronic pain have found relief with the help of CBD. CBD does not cause dependence or tolerance so is a great alternative for persons avoiding opioids. The pain relieving effects of CBD oil is one of its most celebrated health benefits. According to the National Center for Biotechnology Information, chronic inflammation can contribute to several ailments such as heart disease, autoimmune diseases and cancer. However, research has shown that CBD, along with a healthy lifestyle, can play a beneficial role in reducing the chronic inflammation that leads to disease. CBD and its effects on reducing seizures has been studied with pleasing results. It has been shown to treat children with neurological disorders like epilepsy. A study published in the New England Journal of Medicine, examined the effects of CBD on children who were diagnosed with epilepsy. Those who received the CBD medication had a considerable lower frequency of seizures, compared to those who were given a placebo. In the past, CBD has been more typically used for physiological ailments. However, research has shown that CBD can help with mental conditions as well. It can reduce the levels of stress and anxiety in persons who have been diagnosed with social anxiety disorder, obsessive compulsive disorder, panic disorder, general anxiety disorders and even post-traumatic stress disorder. Unlike cannabis-related products that contain tetrahydrocannabinol (THC), CBD won’t make you high, because it has no psychoactive compounds. In fact, a 2017 study conducted by The World Health Organization concluded that CBD has no potential for abuse or dependence, unlike THC. 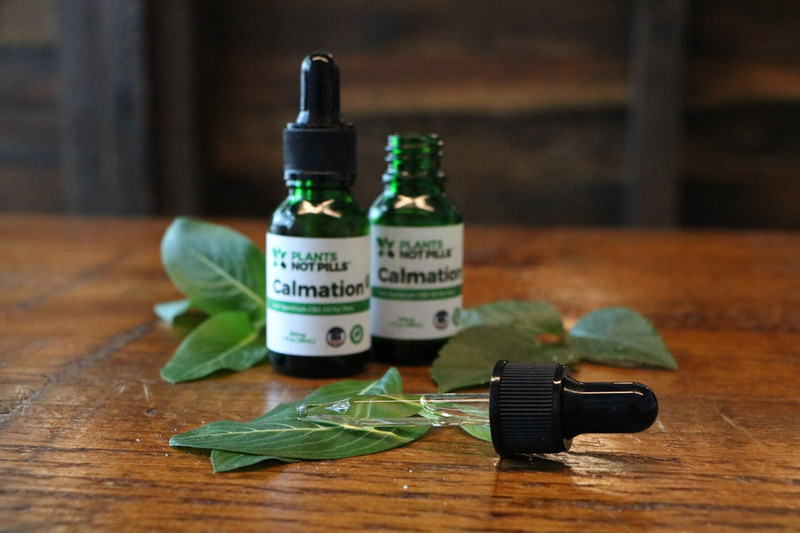 CBD is distributed in several different forms – it can be taken as an oil that can be taken orally by placing under the tongue, soft gels, topical creams, vitamins, gum drops, and many other forms. In short, CBD oil and a healthy lifestyle can help to increase the quality of life for those suffering from several health complications. According to the World Health Organization, CBD may be safe for just about anyone. It’s important to select CBD oil that carries verified, third-party certificates of authenticity that document exactly what’s inside their oil. Additionally, buying CBD products that are made in the USA and organically-grown help ensure the integrity of the product. After all, you’re putting it in your body and, as such, you should be confident of what you’re ingesting. 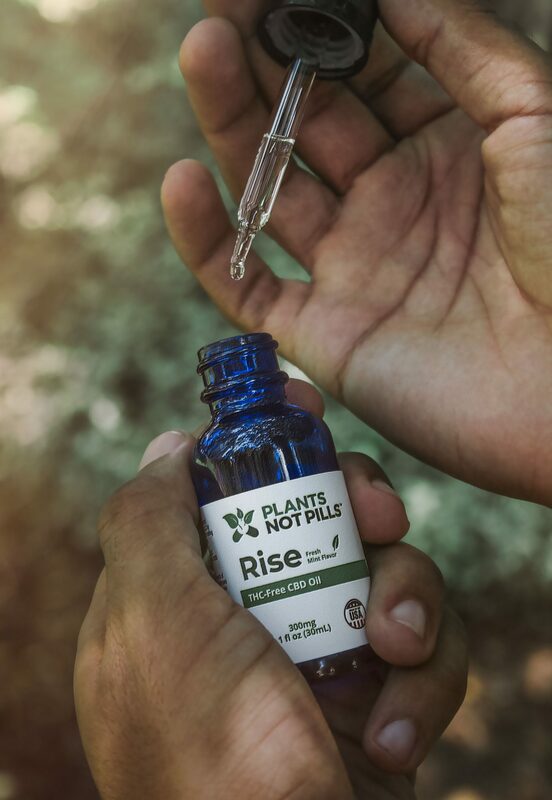 Plants Not Pills™ is committed to providing the very best to our friends and communities, which is why we’ve produced our own CBD product line: Plants Not Pills™ CBD. 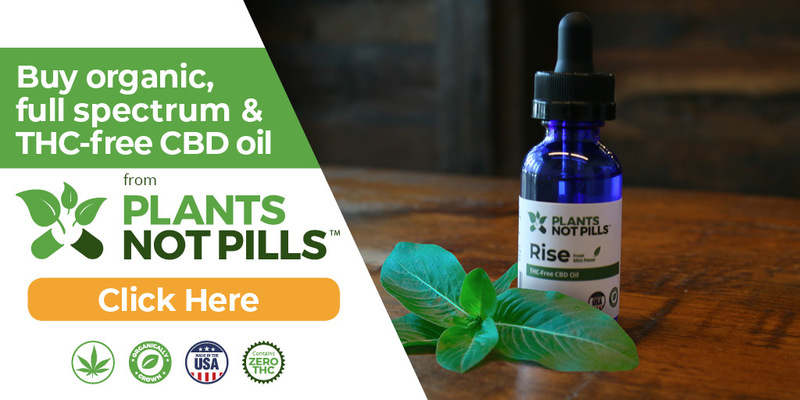 To purchase organically-grown, made in the USA, full spectrum and THC-free CBD products for humans and pets, visit PlantsNotPillsCBD.com or call us at 888.247.3420.